Strand of Oaks' newest folk track is one of 10 songs on this month's Heavy Rotation. Month after month, member stations partake in Heavy Rotation and share with us songs that they cannot stop listening to. Out of the many talents and submissions, we condensed the list into ten songs, all of which scale the possibilities that this year has to offer in music. This month's playlist is packed with new favorites, including French producer FKJ and a fresh bop from Future's The WIZRD, marking this start in 2019 as a hopeful one. Karen O and Danger Mouse, "WOMAN"
Karen O pairing up with Danger Mouse is a fusion of pure collaborative mastery. Between them, they've worked with some of the biggest names in modern music: Adele, Michael Kiwanuka, Parquet Courts, James Mercer... I could go on and on. Over the years, these highly collaborative artists have proved they can work well with others. On their new release as a duo, Lux Prima, they prove they can work well together. With decades of combined experience and two strong musical visions, you can imagine how simple and concise might be a difficult target to hit but the song "WOMAN" is a bulls-eye. Short, sweet and well-timed — it was released right around the 3rd annual Women's March — it's just the rock song I need to scream-sing along with right about now. Greg Cox feat. Emily Sage, "The Other Side"
Sometimes it's difficult to see through clouds of argument and opinion. Sometimes it's hard to find common ground, a safe space, during a heated storm. But sometimes, it's the light of music (like the sweet-and-soulful lilt of "The Other Side") that can calm the uproar. Led by Charlotte-based R&B artist and producer Greg Cox, "The Other Side" takes sonic cues from Al Green's "Love and Happiness" to create a 21st Century middle ground for peace and inclusiveness. To cinematic jazz vocalist Emily Sage, community is at the heart of the music, unraveling the pride and prejudices so that love can be freely found, as she told WFAE in a recent interview: "There is so much magic in songwriting and collaborating ... on a different instrument, with different words, with different people." The Suitcase Junket, "Dandelion Crown"
Matt Lorenz performs as The Suitcase Junket,a living, breathing, throat-singing, road-tested, avant-garde, one-man-band who is in a state of perpetual motion. He's made his own rules in the studio and on stage, making six albums of gutsy, fuzzed-out, groove-laden psych rock. There's no doubt the road life must blend hours of isolation with moments of blissful performance and audience validation. No wonder, then, that his latest video for "Dandelion Crown" finds Lorenz filling out his own touring party with satirical characters like the stoic bass player, flamboyant lead singer, the frenetic multi-instrumentalist, and the ever unaffected sound-man, all played by the musician himself. His sprinter van — at once his transportation, dressing room and mobile abode — has an appropriately significant guest-starring role as well. The Suitcase Junket show is a captivating visual experience, which is why you should see him live if given the chance. Trinkets, kitchen tools and toys of all sorts have been refurbished into his unique palate of musical elements, that are a wonder to watch. His newest release, "Mean Dog, Trampoline," was produced by Los Lobos' Steve Berlin and is set for release April 5 via Signature Sounds. Future feat. Travis Scott, "First Off"
Hip-hop team-ups have historically been big production numbers, boasting nouveau riche-scale grandeur achieved with propulsive beats and hooky choruses to match the bling-bling star appeal. For "First Off," Future and Travis Scott have ditched the tacky ambition and gone in the opposite direction, partnering on some low-energy ear candy. This is two MCs ostensibly talking into their chests for a mellow hangout jam. A clash of the titans-style rap battle this is not. "First Off" is perfect chill music and a lesson in lyrical hypnosis. Future's AutoTune-accented vocals and murmuring flow are in stark relief to the under-produced click track. The sparseness tunes us into the rhythmic, laconic syllables sliding against each other until the rapping becomes a trance. Scott's appearance ups the ante, but keeps to the game plan. Future wants to direct attention on what's coming from the mic and not impressing with beat-making pyrotechnics. What's achieved is the musical equivalent of a humble brag. It was fairly obvious to anyone listening to Starcrawler's self-titled album that this was a group firmly committed to making a glorious racket. The group's Ryan Adams-produced debut was a crunchy delight, full of Patti/Iggy touchstones, and attitude to spare. What wasn't so obvious was that this very young band had the ability to write a damn near perfect pop song like "Hollywood Ending." Boasting killer throwback verses (each ending with a surprising "How was I to know" tag) with an absolutely lovely and anthemic chorus, "Hollywood Ending" may be the start of greatness for these decidedly L.A. rockers. Singer Arrow deWilde is a star, and guitarist Henri Cash is a true-to-life guitar hero. Here's hoping scores of adoring kids start screaming for more. If the band keeps coming out with songs like this, I don't doubt it will happen. "Ugh, there goes another of my heroes." I groaned, at The Current music meeting when we first heard Jack White's solo album last year. It was a creative misstep and it didn't end up on many end-of-year lists. Last fall, played live, those songs didn't quite seem to deserve a place in a set list of an artist with such a deep back catalog. And paled in comparison to another song he played that night, "Steady As She Goes" from one of his 'side-projects,' The Raconteurs. Dormant for the best part of a decade, this band of tight old musical buddies, including key songwriting collaborator Brendan Benson, are back with a bang. The song starts with one of Jack's trade mark yelps and he looks like he's a 14 year old vamping in his bedroom with a Flying-V guitar on this video that has nearly a million views. FKJ (real name Vincent Fenton) started producing music while working as a theater sound engineer - teaching himself music production using the technical skills he learned to put a new spin on electronic music. On "Is Magic Gone," FKJ's (which stands for French Kiwi Juice) improvised acoustic piano meets glitchy electronic textures and boppish house rhythms, pitch-shifting vocal tones and warbling bird calls tossed in for good measure. The vocals are indicative of the FKJ sound, relaxed, cool and sweet at the same time. What the listener walks away with is an introspective lightness that permeates the songs beginning and end, and in-between - an effortless rhythm that coaxes a toe-tapping, head-nodding reaction. Introspective and danceable, FKJ pays perfect homage to the lineage of both jazz and house in this song that we just can't stop playing at KMHD. 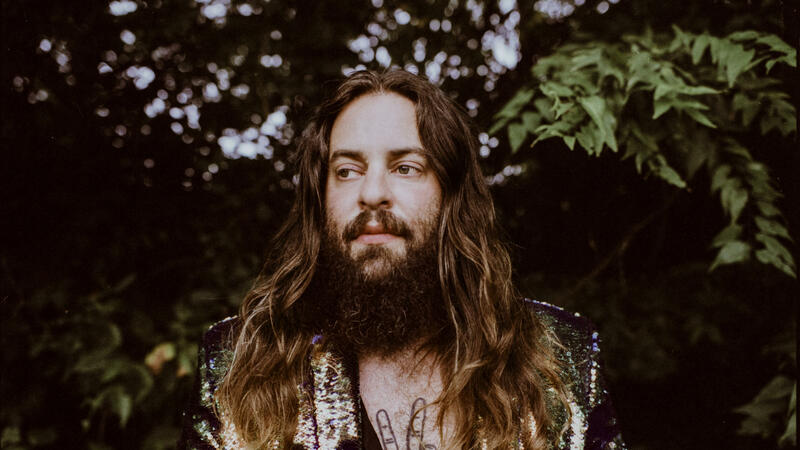 Strand of Oaks, "Weird Ways"
It feels like maybe Tim Showalter's career has been leading to this moment — a moment that almost didn't happen. After half a dozen albums as Strand of Oaks, he felt worn down and contemplated hanging up his guitar. Fate had a different plan. Or at least Carl Broemel, Bo Koster, Tom Blankenship, and Patrick Hallahan did. The four members of My Morning Jacket got Showalter on a plane to Louisville and made some magic with producer Kevin Ratterman. What came of those sessions is a big leap forward on all fronts for Strand of Oaks, the upcoming expansive LP "Eraserland." "Weird Ways," a textural slow build with tinges of twang and Springsteen around the edges, is a great example. The lead single builds on past musical and lyrical themes while infusing a fresh energy and folding in layers of nuance that reward repeat listens. As "Weird Ways" hints, this is a new and renewed era for Strand of Oaks. The best era yet. Maya de Vitry, "Go Tell A Bird"
The debut solo single from Maya de Vitry, the former Stray Birds frontwoman, does everything a folk song is supposed to do — and does it well. An emotionally arresting rumination on love, personhood, and borders, the song is both simple and complex, digestible and impossible. de Vitry distills some of the most seemingly complicated, urgent and timeless human debates down to 35 words in fewer than four minutes. The instrumentation is collaborative and swelling, like the cooperation between a pair of wings and a good hard gust. The refrain ("Go tell a bird about the land of the free") is so perfectly composed as to not even need to explain itself. All the questions about the veracity of borders and the movement of humans around the globe is wrapped up in that single line of poetry. It's the love song we needed to hear right now. Harold Mabern, "A Few Miles From Memphis"
For most, a look over the shoulder is to see if anyone is watching. Or following. For master pianist Harold Mabern it's to make sure folks are listening. "A Few Miles From Memphis" was the title track from Harold's 1968 debut as a leader. Folks then were listening and following this soul drenched, romping 32-year-old Memphis native who had already turned heads in the bands of Miles Davis, J.J. Johnson, Lee Morgan and as a founding member of the MJT+3. It's now January 2018. Harold Mabern is finishing a Herculean three-week run at Smoke, a club in New York City. For his new live double disc, Iron Man, Harold, saxophonist Eric Alexander, bassist John Webber and drummer Joe Farnsworth open with "A Few Miles From Memphis," with all the grit and griot this pianist has acquired, taking us along as they lay new ground, started with a look over the shoulder. This playlist is updated monthly.